Your real address in China. Get your new address in China in 3 minutes! It't also important that your new address will be not some POBOX, but real Chinese address, phone number included. This makes you looks you are living in China. Your new address will be in Shenzhen, which is fast growing city right next to Hong Kong. Nowadays it's a very modern city with an amazing connection to rest of the world. It means you will get your packages very fast; we handle most of them via Hong Kong (transfer from China to Hong Kong it includes our shipping rates and there is no additional cost, nor tax). The address is available both it English and Chinese version. Forwarding address in Hong Kong. 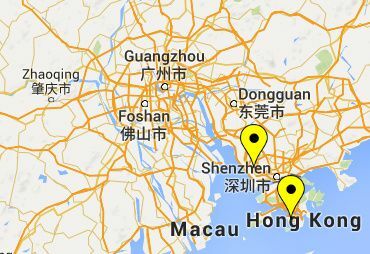 Hong Kong address is very useful in case you need to buy something from Hong Kong or other countries in Asia. Hong Kong has no import tax (opposite to China) for most of the merchandise. Also, some sellers from China do not ship to the mainland, but they ship to Hong Kong. Your new virtual address will be located on Hong Kong Island and it's included a phone number. Hum, sounds suspicious to you? No need. You will get your China address for free, and we won't charge you for incoming packages. Be our guest! Get orders from China delivered to your real address. Consolidate packages right in China and have them mailed in a single package to your home address. Your virtual address in China and virtual address in Hong Kong are not PO BOX but real places where we will handle packages on your behalf.